Leonard, Rodney E. "Letter from Rodney E. Leonard to Congressman Poage, June 20, 1966." 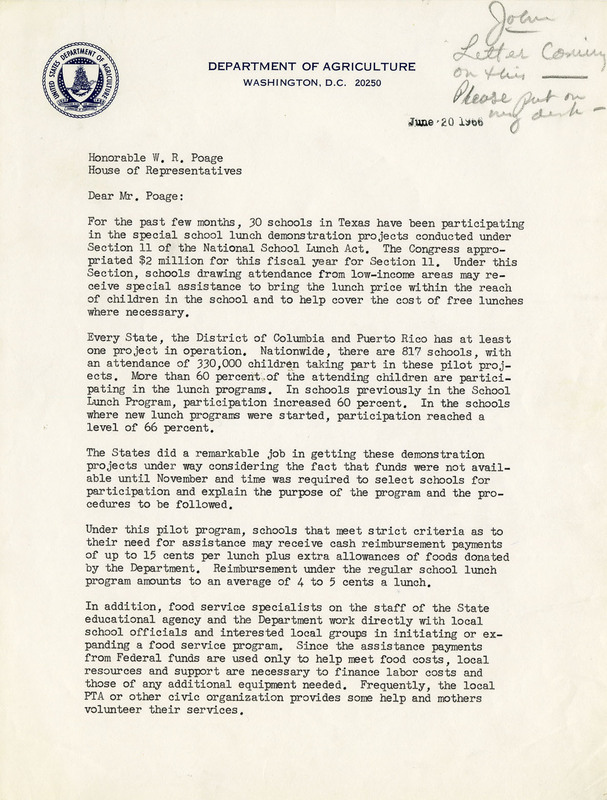 W. R. Poage Papers, Box 166, File 7, Letter from Rodney E. Leonard to Congressman Poage, June 20, 1966, W. R. Poage Legislative Library, Baylor University, Waco, Texas.. Accessed 19 April 2019. http://acsc.lib.udel.edu/items/show/464. W. R. Poage Papers, Box 166, File 7, Letter from Rodney E. Leonard to Congressman Poage, June 20, 1966, W. R. Poage Legislative Library, Baylor University, Waco, Texas.